Google announced Maps offline availability allowing users to search for locations and directions without the need for Internet connection. Before this update, accessing Maps offline only provides a simple and general view of an area without the ability to navigate directions and get information such as driving directions..etc. 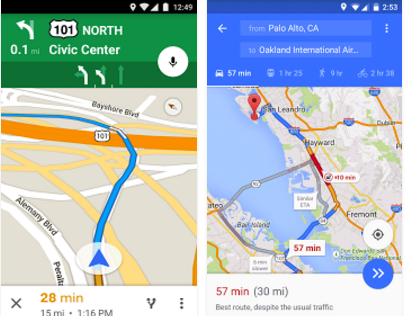 Now, you can use Google Maps offline almost in the same way you would when you are online. Here is how Google Maps offline works. First you need to access the online version of Google Maps and download the location you are interested in , this can be a city, a country road…etc. When you are in a spot with no Internet connection, Google Maps automatically activate the offline mode allowing you to access your downloaded location and ‘get turn-by-turn driving directions, search for specific destinations, and find useful information about places, like hours of operation, contact information or ratings.’ When you are back in a place with Internet connection, Google Maps switch back online so you can access the full version of maps. For now, this new update is only available for Google Maps on Android but, as Google declared, another version for iOS is coming soon.